Stream music to your speakers with Bluetooth technology. Pair your smartphone and tablet simultaneously with multipoint Bluetooth® wireless technology. Stream audio from either device to your speakers. Pair your device with one press of the convenient pairing button. The re-pairing is automatic for hassle-free experience. 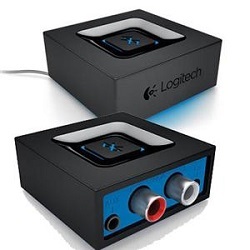 Connect powered speakers with RCA or 3.5mm inputs. You can use your PC speakers, a home stereo system or A/V receiver.